The system is equipped with a fire control system automatically tracking target. 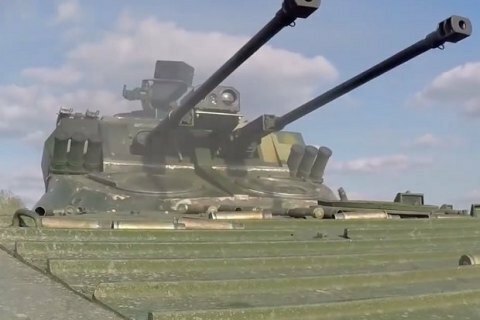 The advanced combat module Duplet used for modernising armoured vehicles has successfully passed tests, President Petro Poroshenko has said on Facebook. He noted that the Zhytomyr Armoured Vehicle Plant significantly improved the characteristics of the combat module and equipped it with an improved fire system which allows it to automatically track targets, calculate ammunition ballistics and open accurate fire both during the day and at night. "We continue working on strengthening the Ukrainian army," Poroshenko said. As reported earlier, in April Poroshenko took part in the final tests of the Vilkha missile system. The serial production of Vilkha rockets will begin in 2018.